Developers, programmers, technical architects, and consultants: You are highly skilled and have deep commitment to your craft as well as the motivation to excel. It’s time to step away from the perceived security of a full-time salaried position, or a marginally successful solo business, and step into a world of freedom, independence, and wealth. With your current technical skills, and an open mind, you can rapidly build a highly successful and ethical business—and on your own terms. The Coder’s Path to Wealth and Independence explains how. Mark Beckner, himself, a highly successful itinerant developer, shows you how to transform yourself from a skilled programmer into a highly creative and effective businessperson leveraging the skills you already have. You will learn to create opportunities where none have existed, create value for yourself and those you work with, substantially increase your income, define your ideals, and realize your dreams. 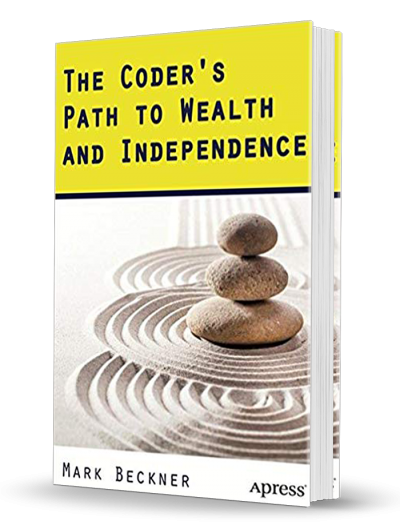 By utilizing the unique strategies outlined in The Coder’s Path to Wealth and Independence to build your practice, you will find your path to personal, professional, and financial prosperity.